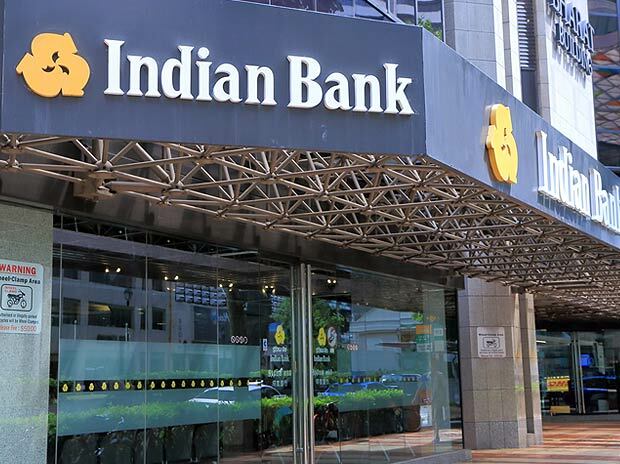 Chennai-based public sector lender Indian Bank has said that its profit for the quarter ended December 30, 2018, as compared to the same period of the previous financial year, was affected by its exposure to the Infrastructure Leasing & Financial Services (IL&FS) loans. The bank has posted a decline of 49.8 per cent during the quarter ended December 30, 2018, at Rs 152.26 crore, compared to Rs 303.06 crore during the same quarter of last year, mainly due to the higher provisioning towards bad loans, including its exposure to IL&FS. "The only factor affecting the profit (the decline in net profit compared to the same quarter of previous year) has been because of the additional non-performing assets (NPAs) that have been recorded on this quarter. The main reason for this NPA is the IL&FS exposure the bank has taken and a major part of the corporate slippage has come from that segment. The other sectors have shown better performance, but it has been almost overtaken and masked by this exposure," said Padmaja Chunduru, managing director and CEO of Indian Bank. "It is not that the Rs 664 crore that we have taken as NPA in IL&FS is entirely non-performing, but this is an issue that is under consideration of the government and the Reserve Bank of India (RBI). Due to the National Company Law Tribunal (NCLT) order, all the cash flows of these companies are frozen in the escrow accounts and a decision has to be taken. These assets would take some time for resolution. That has impacted almost all the ratios," she said. In the previous quarter, IL&FS was not much on the agenda and it had a triple-A rating. The standard assets are earning assets and all of them are special purpose vehicles, and they have escrow accounts where the funds are being deposited. "We will have to wait and see. Given the developments that are happening, we are expecting some resolution will be reached on IL&FS exposure," Chunduru said about the outlook. The recovery in NCLT and the court cases have not been moving at the pace that the bank expected. The bank had been expecting around Rs 300-400 crore from these accounts during the quarter. The bank has put in place systems to recover around Rs 200-250 crore during the quarter even without the NCLT orders, said Chunduru. The bank also saw the slippage of two to three large accounts during the second quarter. The total income during the quarter grew by 7.46 per cent to Rs 5,269.10 crore, as compared to Rs 4,903.07 crore during the same quarter of last year. The bank said that the retail, agriculture and MSME sectors have shown a growth of 17 per cent, 26.3 per cent and 18.7 per cent, respectively, during the quarter, with these sectors forming 58.7 per cent of the total domestic advances of the bank. This is in accordance with its target to have 60 per cent of the total domestic advances from these sectors, Chunduru said. The provision coverage ratio as on December 31, 2018, was at 60.91 per cent, as against 64.73 per cent during the same period of last year. The capital adequacy ratio as per the Basel III guidelines was at 12.67 per cent.